Set up a FREE consultation today with one of our SIX doctors! Sign-up using the form below or call us at (612) 293-9294 to learn more about this offer. Welcome to Woodbury Family Chiropractic! 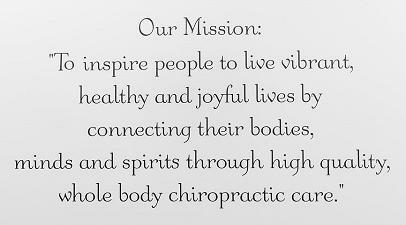 We are known for our 'wholehearted' chiropractic experience where adjustments are customized and complimented with expert-level muscle work and body balancing. Reclaim your health and well-being starting today! "I've been to more than a couple chiropractors and most were OK but when I started to see Dr.Lorraine it all changed for the better. Much better than I ever thought. She really cares what is going on with your body, takes time and listens and when it calls for it her technique changes and it makes a big difference. I've felt SO much better and know so much more about my body."